For some youth, getting a university education seems impossible and simply securing a job can turn into a lifelong struggle. That is where the BladeRunners come in. Though it has since rapidly expanded, the BladeRunners program was created by Jim Green (a well-known disadvantaged youth advocate) in 1994 as a way to get high risk youth off the streets of Vancouver’s Downtown Eastside and into stable jobs. Nine years after its creation, the program’s operations were taken over by ACCESS, the Aboriginal Community Career Employment Services Society. With both provincial and community funding, the BladeRunners initiative was able to expand to a collection of eight agencies in eight distinct geographical regions by 2009. Each of these agencies was, and still is, slightly unique. “The basics get dictated to our agency directors, but directors have the freedom to build their own programs too,” Galway said. Part of the program’s success, Galway says, is not just career networking or getting in close with the most economically profitable industries, but making sure the focus is more on getting the job than acquiring the training. “Kids may come in with low skill, but we give them the opportunity to do so much more,” Galway said. Four years ago, the province started a BladeRunners program right here in Kamloops under the direction of the John Howard Society of British Columbia, a non-profit charity. Though similar to other programs in its overall goal and the certifications awarded (which range from WHMIS to first aid), the Kamloops BladeRunners chapter focuses more on tourism and hospitality than trades or construction. “We focus on tourism because it’s an entry-level industry in which these kids can compete,” explained Devin Gambler, director of the Kamloops BladeRunners. Though Gambler built his program off of the templates of previous BladeRunners programs, he gives the Kamloops Bladerunners a unique flare. Though the program is aimed at youth, individuals as old as 30 may apply. Many of those that do apply come from rough backgrounds, often struggling with drug addiction or problems at home. Though the makeup of a BladeRunner’s intake may comprise of people as diverse as single mothers or former gang members, approximately 3/4 of the program’s users are Aboriginal. “Though lots of BladeRunners are from the reserve, this is in no way solely an Aboriginal program. It’s just that Aboriginal kids are at the most risk as far as employment goes,” Gambler said. 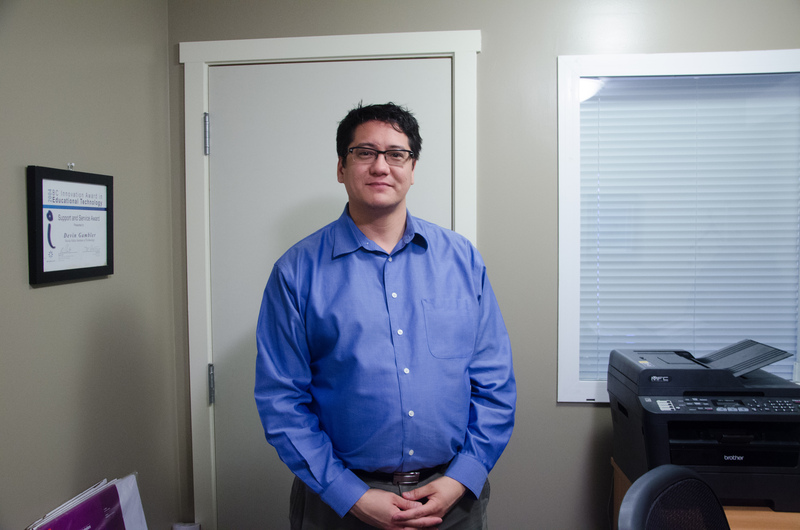 Through maintaining his tough love attitude, networking throughout the Kamloops community and focusing on personal development, Gambler has helped the Kamloops BladeRunners achieve an 82 per cent success rate. However, something Gambler is even more proud of is the program’s success in having its graduates secure jobs soon after completion. Nearly 95 per cent of BladeRunners who complete the program through the John Howard Society find jobs shortly after. Though not every BladeRunner comes to TRU after completion of the program, the university’s partnership with the John Howard Society has given many BladeRunners the opportunity to experience what university is like through tours. “We want to show these kids that education is for everyone, not just the rich,” Gambler said. TRU Vice-President of Advancement Christopher Seguin is the university’s liaison for the BladeRunners program. Though there have been BladeRunner intakes where nearly half of the program’s graduates have come to TRU after, there have also been intakes where none have as well. “I don’t just tell these kids that their goals are possible, I dare them to complete them. I tell them ‘Prove me wrong, don’t be what everyone else expects you to be,’” Seguin said. Though getting kids to come to TRU isn’t his main goal, Seguin’s motivation has definitely helped some youth in their decision to study at TRU.